When Republicans assumed the majority in the Senate in January 2015, we pledged to return to "regular order," governing openly, processing bills through committee and opening the floor debate to members of both parties. Committee work takes time and floor debates can appear confusing, but they give the public a chance to contribute and allow input from all members in developing policy. Leader Mitch McConnell led us through a productive process that resulted in bipartisan achievements like the first multiyear highway bill in nearly a decade, the repeal of No Child Left Behind, the establishment of a more state-centered system for K-12 education and comprehensive legislation addressing the opioid epidemic. By relying on good process, we began governing again. There are 100 members in the Senate, each reflecting the diversity and complexity of our nation. In addressing health care, an intensely personal issue to all Americans and one with significant impact on our nation's economy, it's imperative that everyone is heard. This is why I consistently advocated for regular order while the Senate health care proposals were being drafted so ideas from both parties could be considered and thoroughly examined. That open process is beginning. The Health, Education, Labor, and Pensions (HELP) Committee will hold hearings this week and as a member of that committee, I will be deeply engaged through the process. I appreciate that Chairman Lamar Alexander is taking the extra step of opening the process to senators outside of the committee for complete inclusivity. And Alaska's voice will be heard as our state's director of insurance, Lori Wing-Heier, will testify on Sept. 6 about Alaska's experience, our 1332 waiver, and the need for market stability, which is expected to help reduce premiums by over 20 percent in 2018. The immediate focus of the HELP Committee's efforts will be to stabilize and strengthen the individual market, including funding cost-share reductions and helping the most vulnerable gain access to affordable coverage and care. We will also examine how to provide more flexibility to states to find solutions that work on a local level. These two measures are designed to prevent immense price increases that would surely take place in their absence. We must also evaluate the efficacy of mandates that have severely impacted small businesses and workers. The Senate must also work toward long-term solutions. The president and I agree that the status quo with health care in the country is not acceptable, that fixing it will be complicated, and it will take time and hard work by us all. In Alaska, we have just one insurance provider on our individual market. Other parts of the country may have more providers, but even in those areas, premiums continue to rise. Many with insurance can't afford the out-of-pocket costs that render their coverage practically worthless. However, we must not forget that many Alaskans now have coverage they did not prior to the Affordable Care Act (ACA). As Republicans, we need to acknowledge the beneficial provisions of the ACA while working to build on them. Likewise, Democrats need to acknowledge the ACA's drawbacks while helping to repair things that are truly faulty and harmful. If we want to lower insurance costs, we must address the underlying problem of the high cost of care. I stand ready and willing to work with all members of the Senate to achieve this goal. One approach may be to allow Americans to buy cheaper prescriptions from Canada, as Sen. Bernie Sanders has advocated. Sen. Ted Cruz and I are also exploring several proposals, such as expanding access to health savings accounts for a broader range of health expenses, including to pay for insurance premiums. We have also discussed the need for greater price transparency so patients can shop for care like any other service and allowing for cheaper plans to be sold on the exchange. These are only a few ideas, and our hard work has laid a strong foundation from which to build. I am convinced that by returning to regular order we can find a bipartisan solution of enduring policy that lives beyond this Congress. Members of Congress, private industry, nonprofits and stakeholders alike all have good ideas. With the committee process, we can unite to find policies that provide the choice, control, affordability and quality of care all Americans need and deserve. 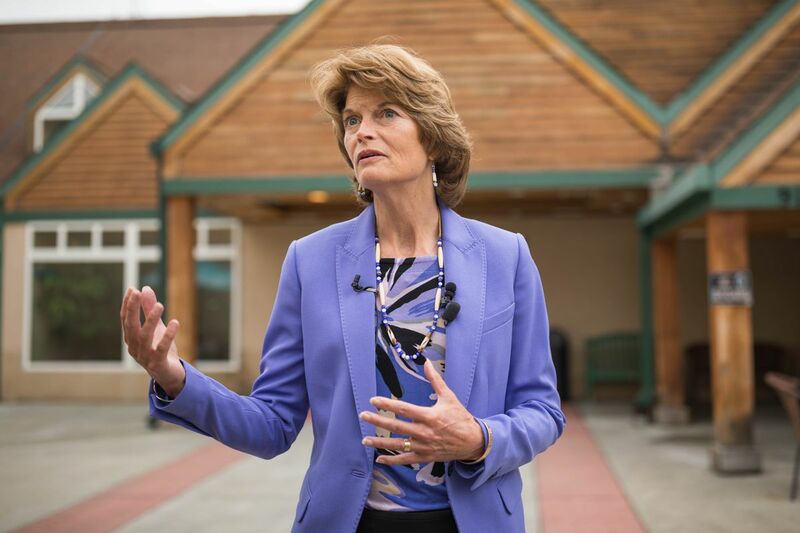 Sen. Lisa Murkowski has served Alaska in the U.S. Senate since 2002. She previously served in the Alaska House of Representatives.